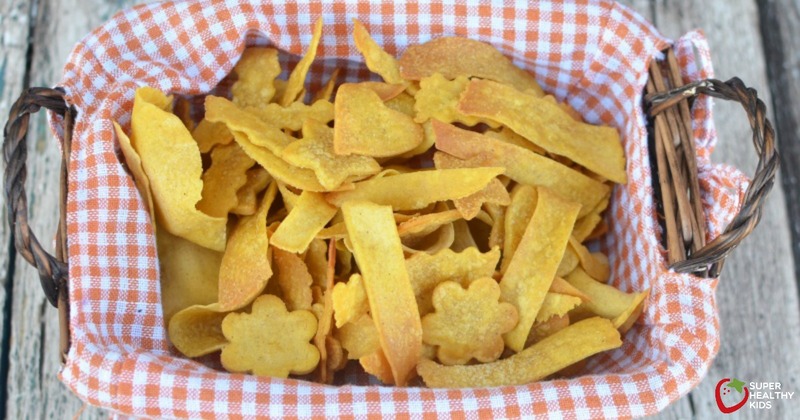 Corn chips don't have to be deep fried, and homemade ones don't have to take very long either. Slice with a pizza wheel till you have strips of chips. Bake at 425 degrees for 10 minutes. Flip chips to the other side to cook the back. Cook for 2-3 more minutes. For scoops, invert your pressed tortilla onto the cups on the bottom of a mini muffin tin. For easier scooping and eating, leave one side up, for a flat side. Brush liberally with your olive oil and sprinkle with salt. Bake at 425 for 10-13 minutes.